As per advisory, the owners of banquets halls, hotels and community centres have been asked to cancel the bookings done earlier and avoid new bookings for a day before and after the 'Kumbh snaan. LUCKNOW: With an eye on the forthcoming Kumbh Mela in Prayagraj, local residents have been urged by the district administration to postpone weddings or shift the venue for the same between January and March. Issuing an advisory in this regard, Additional District Magistrate Ashok Kumar Kannaujia said that the appeal was made keeping in mind the huge congregation of devotees expected in Prayagraj during Kumbh Mela, which would commence on January 15 and end on March 4, 2019. As per the advisory, the owners of banquets halls, hotels and community centres have been asked to cancel the bookings done earlier and avoid new bookings for a day before and after the 'Kumbh snaan', which will be held between January and March, next year. The order copies have been circulated by the district administration to all local wedding hall owners and hoteliers. Exhorting the residents of Prayagraj to make the Kumbh a success, the ADM has sought their help in maintaining sanity in terms of traffic regulations and crowd control during the Mela, especially during the snaans (bathings). During the holy pilgrimage, five key snaans will take place on Makar Sankranti and Paush Poornima in January, Mauni Amavasya, Basant Panchami and Maaghi Poornima 'snaan' in Feburary and Mahashivtarti 'snaan' in March. Devotees are expected to turn up in large numbers for the ritual. However, the advisory has put people, who had made advance payments for guest houses, function lawns and caterers, in a quandary. While some are changing the dates, many are weighing the option of changing the venue to adjoining districts. 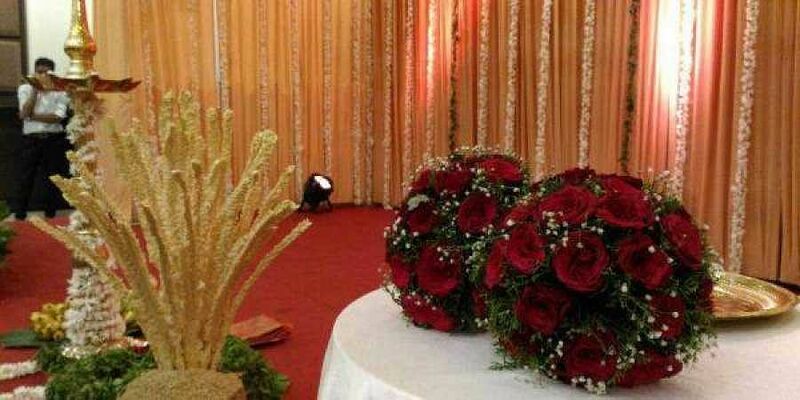 People in the wedding business are equally puzzled as they are dependent on the marriage season for their earnings.